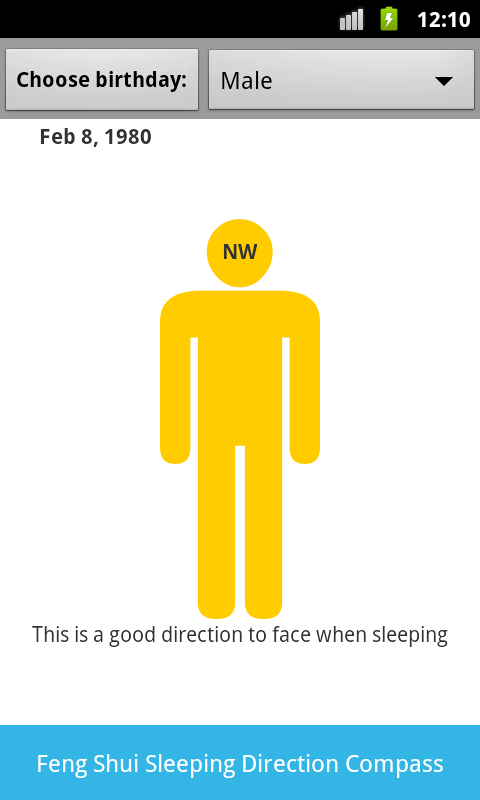 Using this free app as a compass, you can find out in which direction you should be sleeping according to Feng Shui. 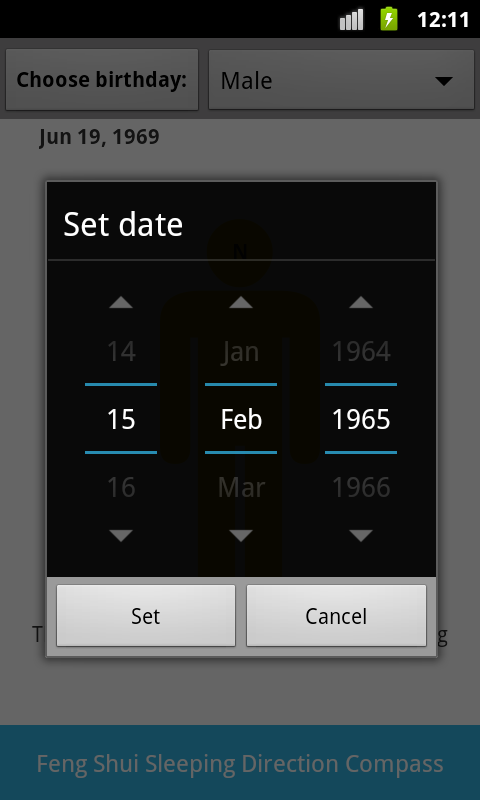 Enter your birth date and gender and use your phone like a compass to find the best orientation of your bed. 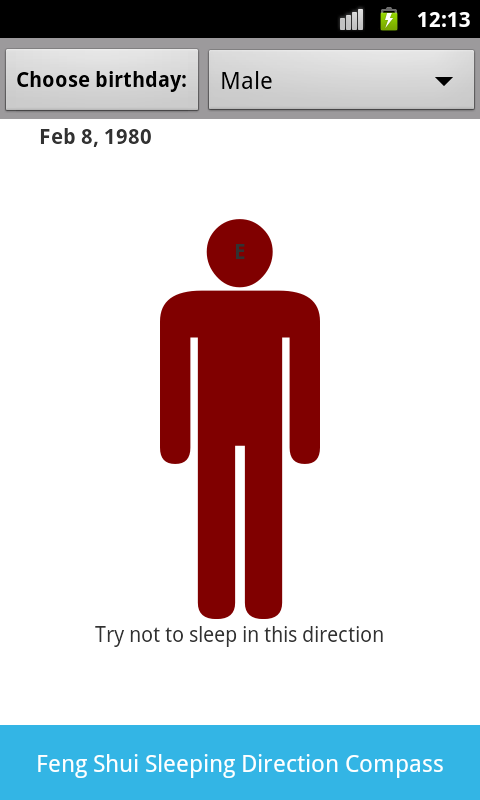 The best direction for sleeping (east, north, southwest, etc.) will be indicated on the screen in green. Feng shui (also fung-shay or Fung shui) is an ancient Chinese system of aesthetics believed to use the laws of both Heaven (astronomy) and Earth (geography) to help one improve life by receiving positive qi. This app is good to have if you travel a lot, because it lets you find the best direction for sleeping on your hotel bed in order to feel more refreshed in the morning.